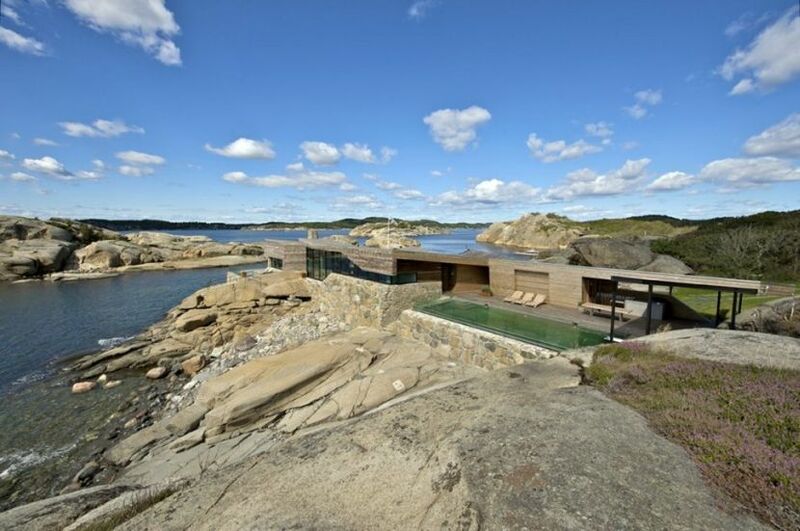 Disparate yet modernist, subtle yet expansive – this is the ‘Summer House’, constructed along the coast of Vestfold in the very southern region of Norway. 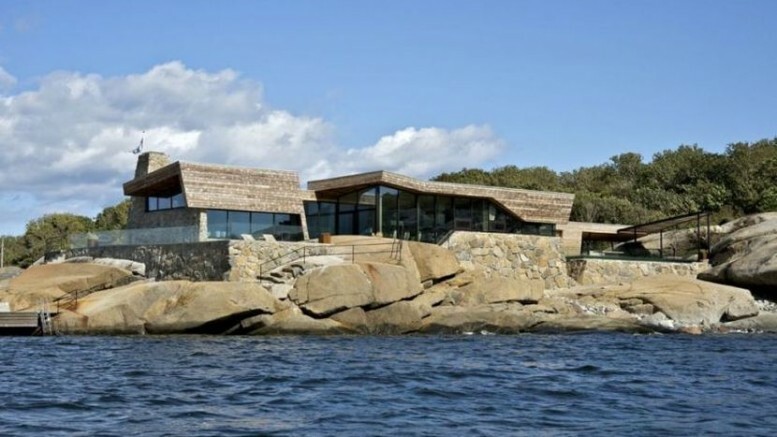 The handiwork of Jarmund/Vigsnæs AS Architects, the house is designed as a seamless extension of the rocky surrounding. 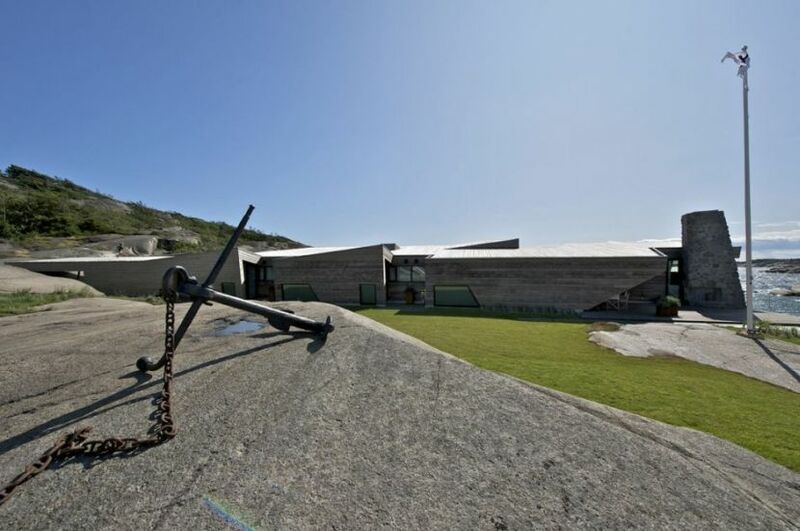 Interestingly, there is more than symbolism to this setting-inspired building, as the structure had to be ‘well adjusted’ to the existing environment just to get the planning permit. In other words, the architects have intrinsically worked on the project so as to design it in accordance with the local bye-laws. 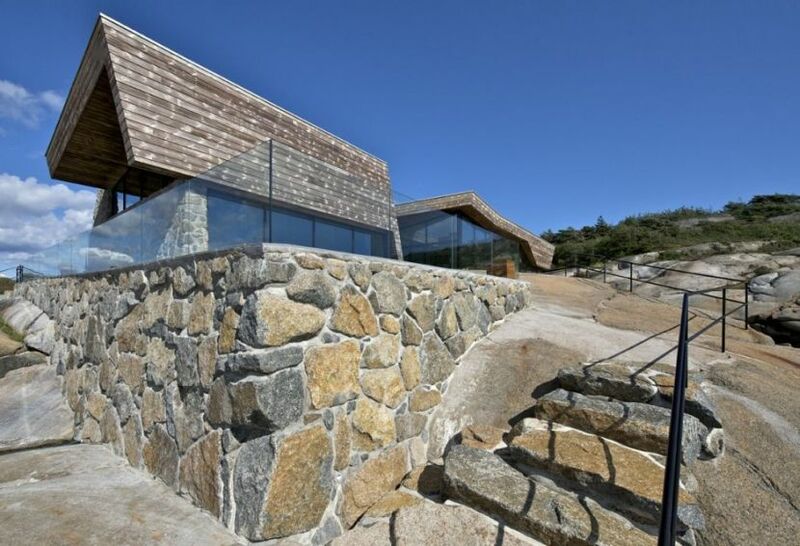 This intangible limitation has somehow benefited the building as a whole, with its elegant embodiment replicating the rocky outcrop of the site. 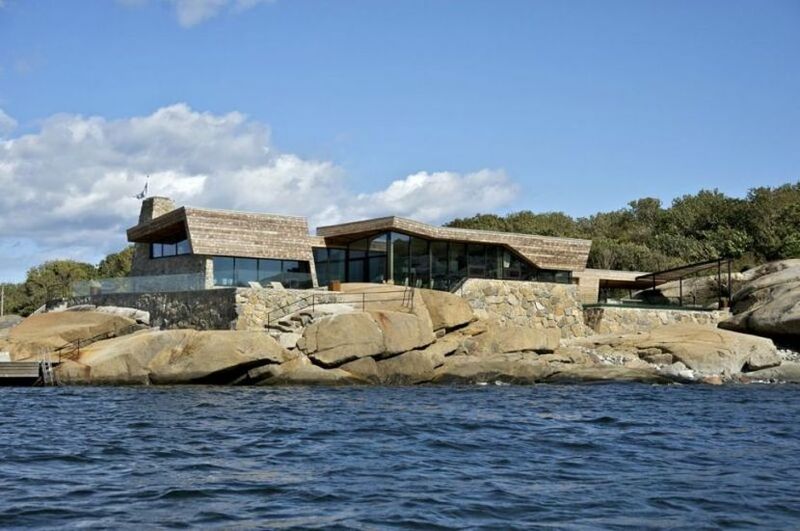 This replication is obviously done via a modernist perspective, thus allowing the ultimate fusion of man-made linearity (of the residence) and organic profiles (of the rocks). 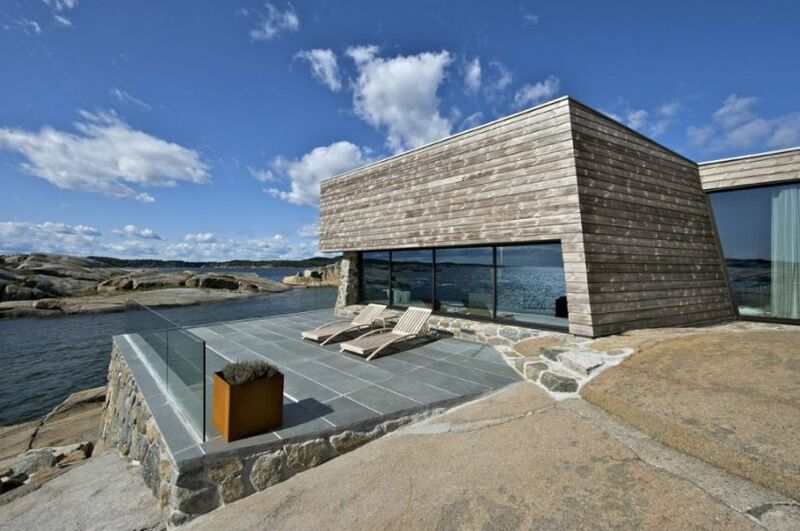 The materials and the color of the Summer House incredibly mimic the subtle tone of the proximate stones. 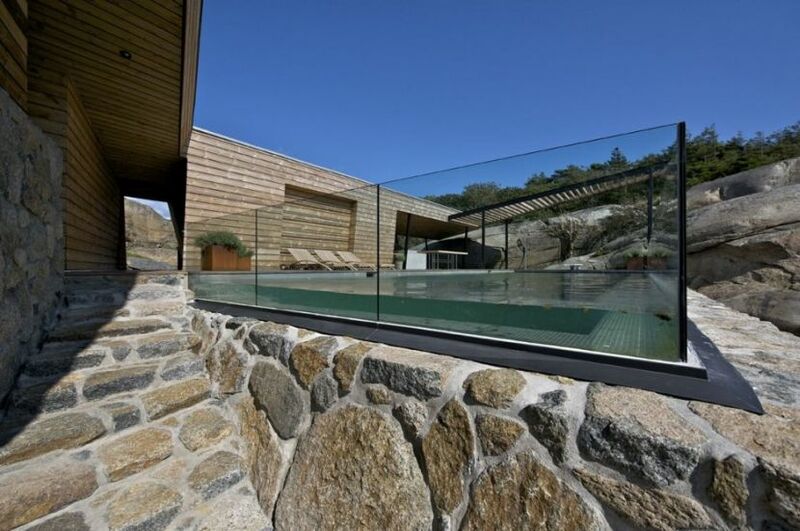 This seamless nature is rather accentuated by many of the terraces that are actually built upon older stone walls. 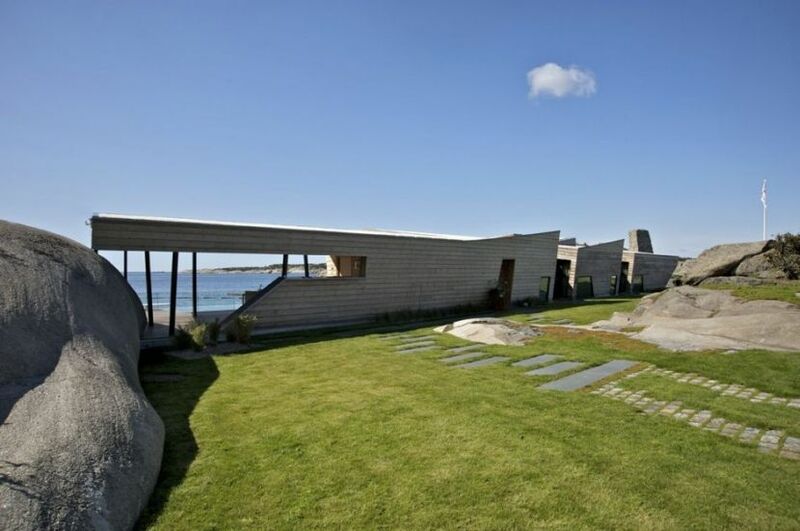 Furthermore, the designers have taken the low-impact route with the newer walls – that were constructed from the aggregate stones left after blasting at the site. 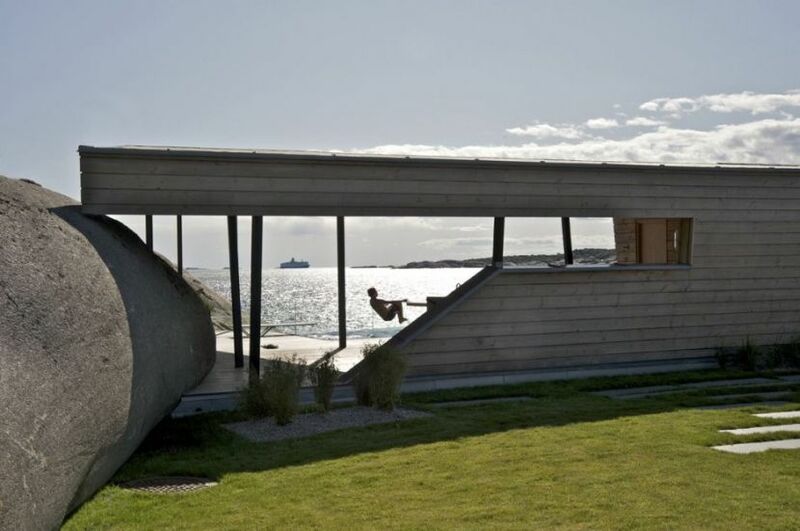 As for the user-oriented features of the sea-front building, the elongated volume is sometimes intruded upon by spatial voids. 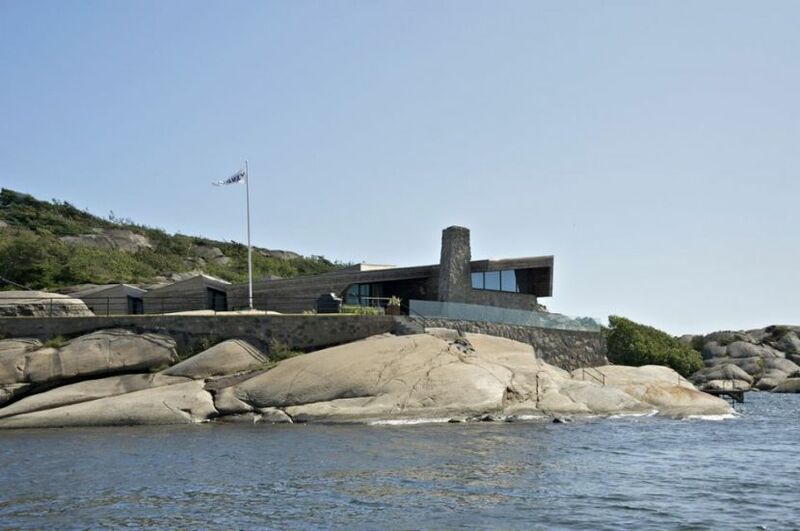 These ‘cuts’ according the architects, were done to maintain the human scale of the extensive elevation and floor plan, and also make the form more adjustable to the cliff side. 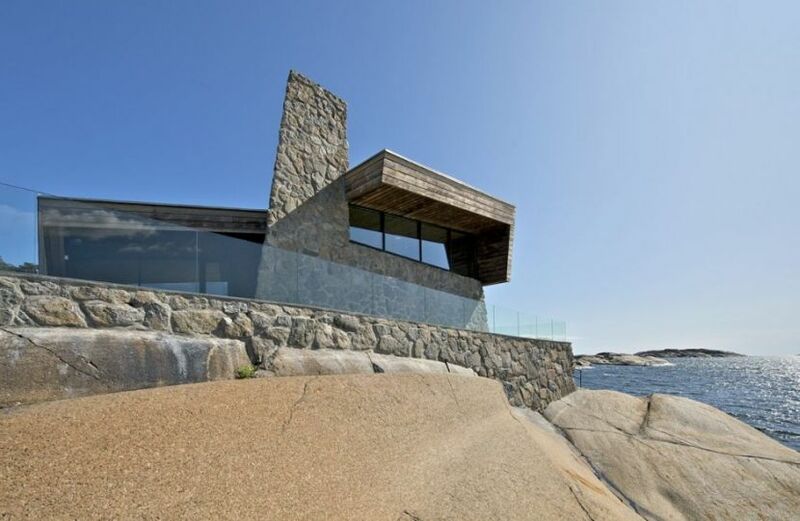 A glass fence protects this entire compound from the fierce winds of sea, while its transparency preserves the ‘visual connection’ between the inhabitants and the gargantuan water body. 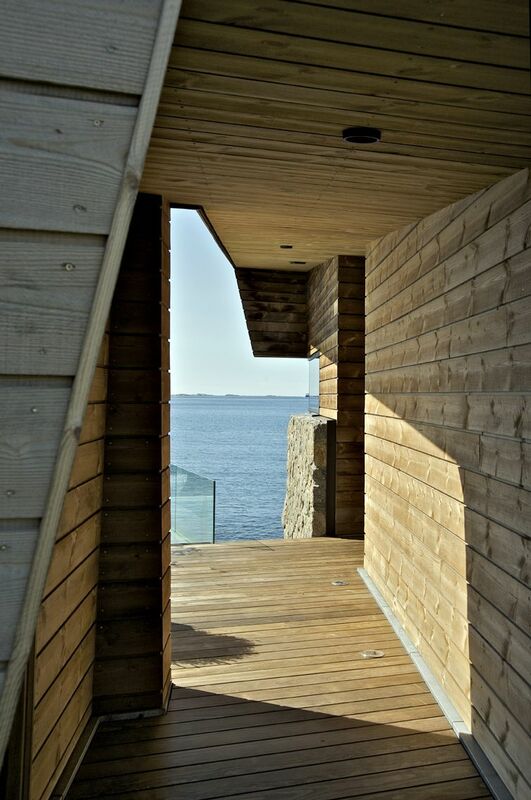 Lastly, the low-impact nature of the Summer House also makes its presence felt by virtue of the interior cladding of Kebony wood. 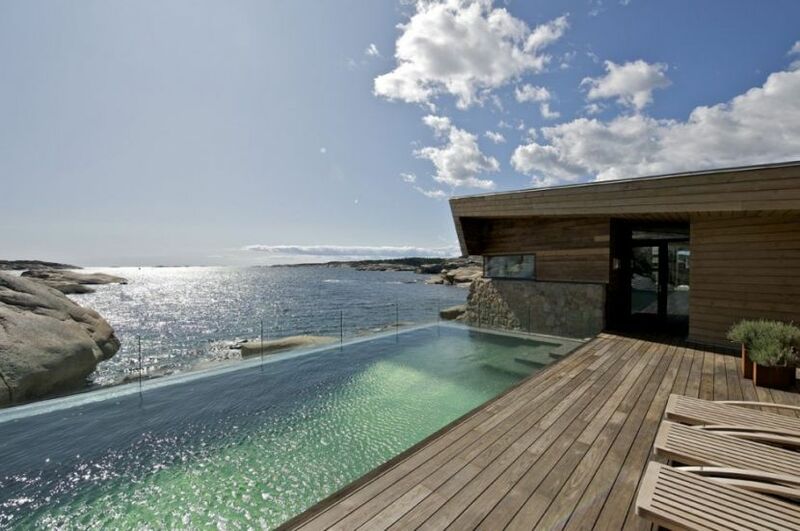 This special type of wood (manufactured by the eponymous Norwegian wood producer) is treated in a sustainable manner that makes it more resistant to the usually cankerous effect of the salt water. 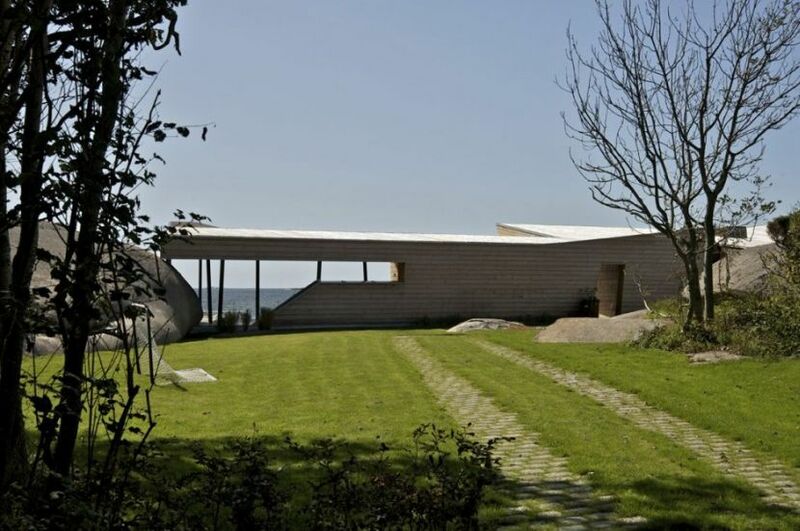 5 Comments on "The ‘seamless’ Summer House by Jarmund/Vigsnæs AS Architects"
can you, or someone please give me the location of this beautiful house? this is for my daughter, who is a II year Bachelor of Architecture student. an assignment given to her. The location of the house is mentioned in the article itself. 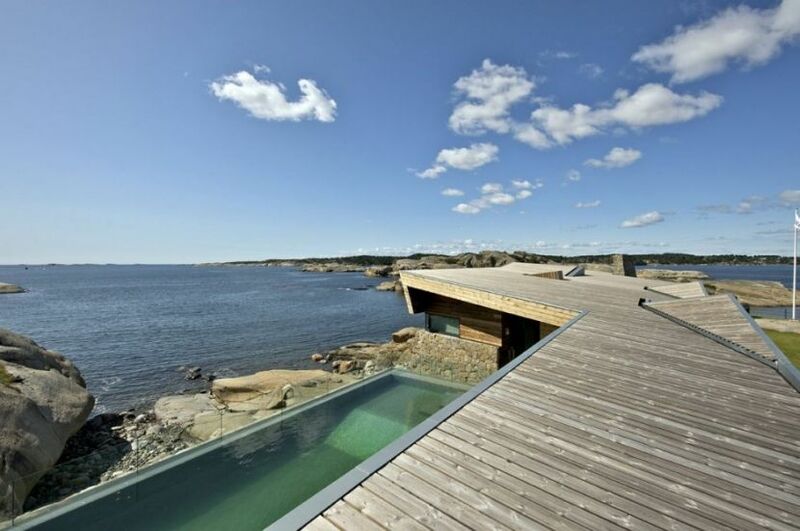 It is situated along the coast of Vestfold in southern Norway. i was hoping to get a closer address. the street name, maybe the google map co-ordinates, or something. they have to mention those in the paper they submit…. Sorry about this, but even Google searching on my part didn’t yield the pertinent results for the address. But still if your daughter is in the sophomore year, I don’t think the professor would need the very ‘exact’ address of the project; she can just give a link to any of the websites for reference (she can print a hard copy of the website pages and just insert it in her papers for the reference). 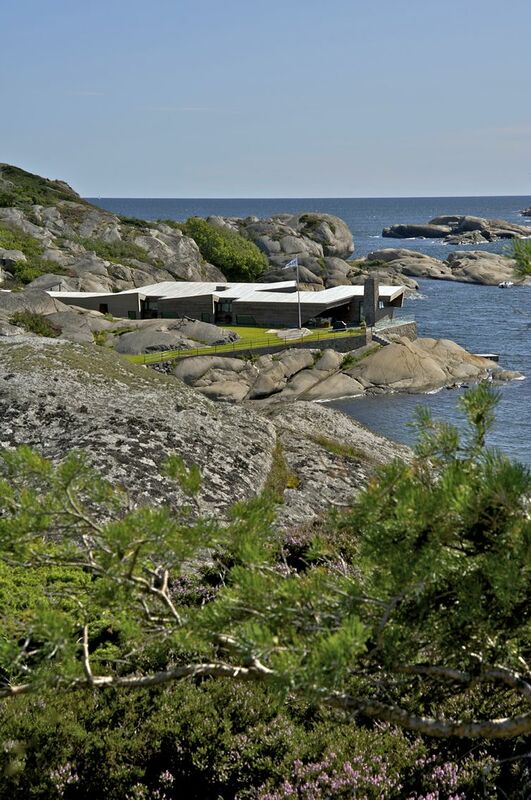 But still see it as a personal suggestion – since I also studied architecture. thanks again; also for taking the trouble to try and help! I too got several links/articles, even sketches, designs, layouts – about this same house – but no address. regards, have a nice day!